That’s my Nan talking up there incase you’re wondering. My beautiful Nan… she’s not with us anymore, but you can be sure that wherever she is, she’s got a glass of Guiness in her hand. Oh, she’ll also have a bag of fluff-coated cough drops somewhere in her handbag (the white Maggie Thatcher-esque one that never left her side). But what does any of that nonsense have to do with a skin primer that hails all the way from Japan from one of my first-discovered ‘exotic’ (for me) brands? 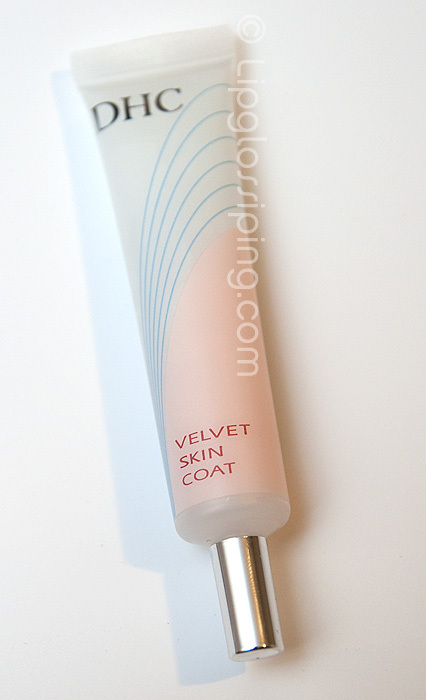 DHC’s Velvet Skin Coat was sent to me for review consideration a little while ago. 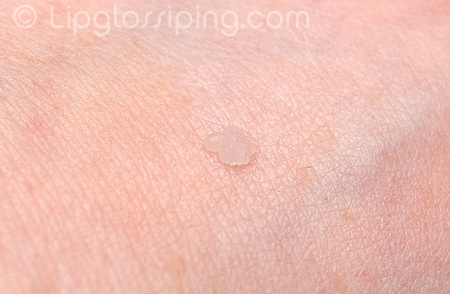 It’s one of those silicone, skin-smoothing primers like Smashbox Photo Finish. In this instance, you get 15g for £12.50 which puts it a nose ahead of the Smashbox version in terms of value. I find the packaging of the DHC Velvet Skin Coat preferable to Smashbox’s pump action bottle which always used to spew out too much product. The (rather plain) squeezy tube from DHC offers complete control over how much I’m dispensing without any wastage. So far, it’s looking good for the DHC… But what does it actually claim to do? From personal experience, it achieves about half of those things… It creates a matte texture that feels velvety and soft. It doesn’t pill, ball-up or interfere with my other products when I’m applying it alone or in conjunction with foundation. If I’m applying my foundation with my fingers, then I can definitely feel my foundation gliding on more smoothly… as for longevity… hmmmm… undecided. As for filling in pores? hmmmm, not really. In fairness though, Smashbox doesn’t do these things for me either. Can you make out much difference between the 2 sides of my face? Because of it’s clear texture… it also sadly doesn’t do anything to disguise the redness in my skintone and neither does it offer any SPF protection. The only primers I’ve found that work well for me are the less silicone-y ones… the Shu Uemura UV Underbase and Paul & Joe’s Moisturising Foundation Primer (which gave some great longevity). But having said that… so many people swear by Smashbox Photo Finish (c. £28), L’oreal’s Studio Secrets (£12.99) and other silicone-heavy offerings that just because I haven’t found it working wonders on me, doesn’t mean that you won’t love it. DHC Velvet Skin Coat is priced at £12.50 for 15g and available online from DHC. While you’re there, pick up a bottle of their Deep Cleansing Oil… you’ll thank me for it. Can’t say i see any difference between the two sides at all.